It is a rather rare occurrence that the most memorable moment of a draft night features a player that was not actually drafted, but that is what happened last night during the NBA Draft. 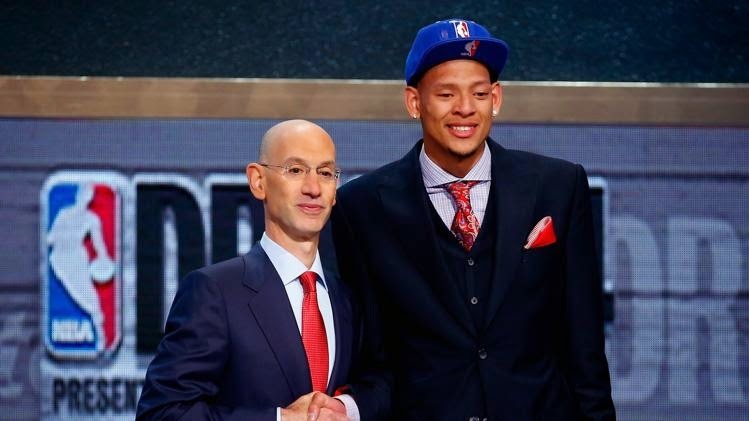 Baylor big Isaiah Austin, projected by some to be a second round pick, saw his NBA dreams dashed less than a week ago when he learned that he had been diagnosed with a rare genetic disorder called Marfan syndrome, one that would put his life at risk had he attempted to play in the NBA. An awful development for anyone so close to the draft. NBA commissioner Adam Silver made a very gracious move by inviting Austin to the draft as his guest but he took it one step further last night between the 15th and 16th picks. Let's go to the videotape. Seeing Austin receiving a standing ovation from the Barclays Center crowd while putting on an NBA cap after being "drafted" by the league is without question one of the greatest moments I have ever seen at any draft. Tremendous. Here's to hoping that Austin can be a success even in the wake of his condition going forward.